The Ju-Ju-Be Legacy Collection B.F.F. 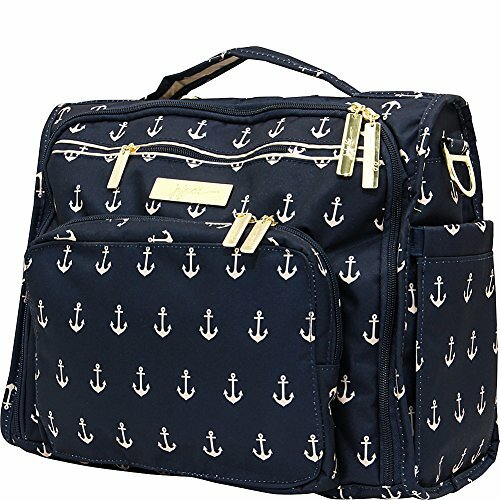 Convertible Diaper Bag provides multiple carrying and storage options to help you stay ultra-organized. Just like your B.F.F., this machine washable backpack is something you cannot live without. 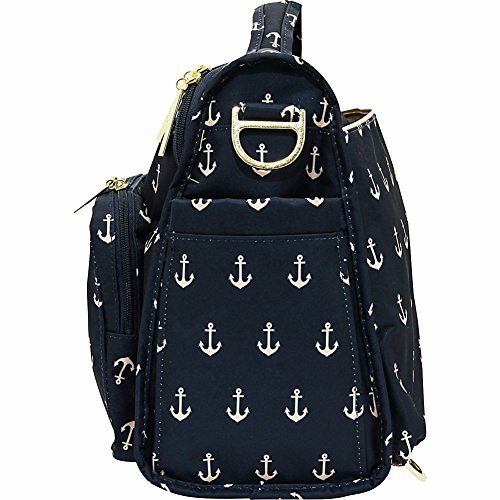 Designed with convenience and comfort in mind, this versatile bag can be carried using its top handle, over-the-shoulder strap or backpack straps. The memory foam straps have textured fabric underneath to prevent the bag from slipping off your shoulder. Keep organized and sane, while never sacrificing looking good. The bag`s lining is protected with AgION natural antimicrobial treatment, which inhibits and reduces the growth of odor-causing bacteria, mold and mildew. The outer fabric is treated with Teflon fabric protector, so you can repel stains and keep it clean. The front ``mommy`` zippered pocket is large enough for smartphones, wallets, keys attach to the key fob stretch cord, and other personal items. Inside organization includes (4) gusseted pockets, (3) zippered pockets and lots of wide open space. 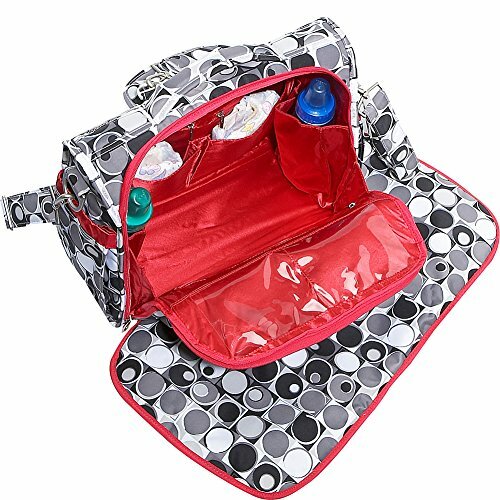 The main zippered pocket is large enough for diapers, wipes, extra clothes and other items. The back pocket is designed with crumb drains to keep this area clean, is large enough to store your child`s books, and includes a super cushy matching memory foam changing pad. Bottle pockets are located on either side of the bag and come insulated with Thiosulfate by 3M to keep your items hot or cold. This bag is accented by metal hardware, including luggage feet to keep the bottom of your bag clean when you set it down. With the B.F.F. 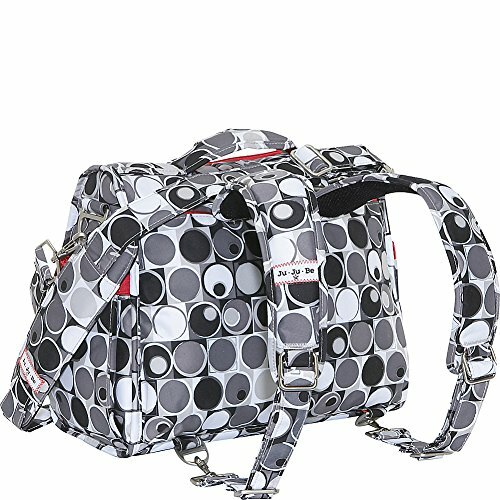 Diaper Bag, you can choose to wear it as a backpack or messenger style - it's your choice. Whichever you choose, the B.F.F. has your back, just like every B.F.F. should. The Ju-Ju-Be Legacy Collection B.F.F. 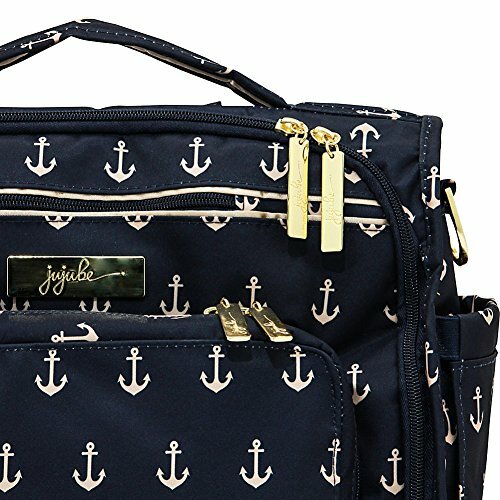 Convertible Diaper Bag comes with a 90-day limited warranty that protects against manufacturing defects.